Who is Buying Subcompact SUVs like the 2018 Ford EcoSport? It’s Generation Z! America, meet Generation Z. They are defined as individuals born between 1996 and today and they are a force to be reckoned with -- they represent fully 25% of the US population and will account for 33% of the US population by 2020. And they’re quite different than their Generation X forbearers. They spend less time watching TV and more time out in the world. This is facilitated by their ability to remain in touch through wireless communications. In fact, they’re the first generation to grow-up in an on-demand world. Despite the wide-spread availability of ride sharing, 92% of Generation Z (or Gen Z) members either own or plan to own their vehicle. In fact, there are already 26 million licensed drivers under 25 years of age in the US. Now it’s time to make another introduction: Generation Z, meet the 2018 Ford EcoSport, a vehicle designed around the way you live your life. The 2018 Ford EcoSport subcompact SUV is the newest entry in the field, in the fast-growing subcompact SUV marketplace. Stylish and comfortable while being fuel-efficient and with the cargo space young drivers desire. Generation X was drawn to subcompact cars for their low purchase price and spritely handling. The preferences of Generation Z are much different. According to Ford research many are already shifting away from once-popular subcompact cars and gravitating toward the still-young subcompact SUV segment. Ford projects that US sales of subcompact SUVs to Generation Z buyers will overtake sales of subcompact cars to that group by as early as next year. So why Sub-compact SUVs? First, there’s more space for their friends and their stuff, basically. And its space that Generation Z drivers can’t get enough of in subcompact and compact cars. When you do a subcompact car to subcompact SUV comparison, the measuring tape tells the tale. The Ford EcoSport delivers 50 cubic feet behind the front row – nearly double the 25.4 cubic feet of a Fiesta hatchback. Connectivity is extremely important to members of Gen Z. In fact, 35% list an infotainment system as the most important component when selecting a vehicle. The designers and engineers who developed the EcoSport with the features Generation Z drivers not only want but expect in a vehicle, like Amazon Alexa, Apple CarPlay and Android Auto. 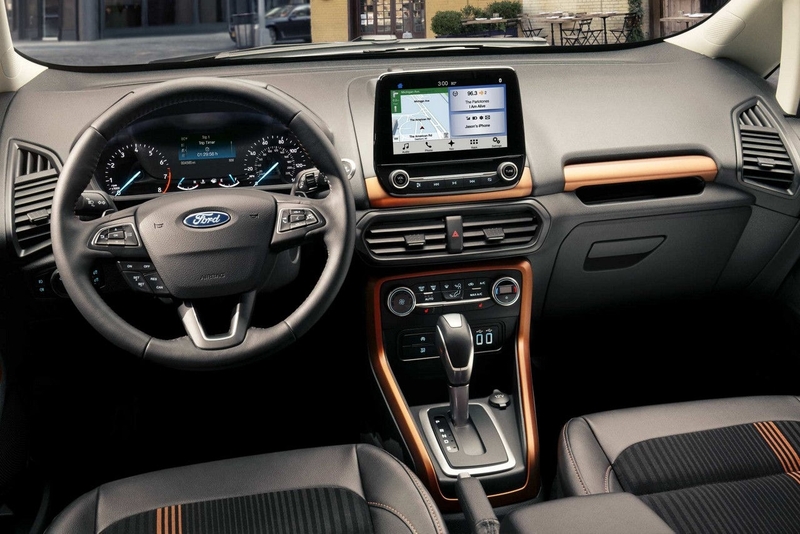 In addition, available FordPass provides remote access through a smartphone app, plus an 8-inch capacitive touch screen is offered. The Ford EcoSport is also available with a B&O Play premium audio system and SiriusXM satellite radio. Additionally, EcoSport is equipped with multiple smart-charging USB ports. And while not all members of Generation Z are thinking about safety when they select a vehicle, there’s certainly at least one member of their family that is. Ford understands that as well and has equipped the EcoSport with AdvanceTrac with Roll Stability Control, Personal safety System for driver and front passenger with dual stage front airbags, Safety Canopy System with roll-over sensor and side-air curtain technology for first and second rows, side thorax airbags for rear passengers, SOS Post-Crash Alert System, and Rearview backup camera, all standard. In addition, there are more Ford dealers in the US than any other brand. Ford has twice as many dealers as others. So whether you’re on a cross-country trip with your friends, relocating to the desert to work on an archeological dig, or just moving to a new city you can be assured that there’s a friendly Ford dealer that can maintenance and service your vehicle nearby. As the saying goes, if you want to know the story, ask an owner. That’s what Cars.com did. It’s already posted 25 EcoSport reviews from people who’ve bought one. The verdict? Owners gave the EcoSport 4.9 out of 5 stars. 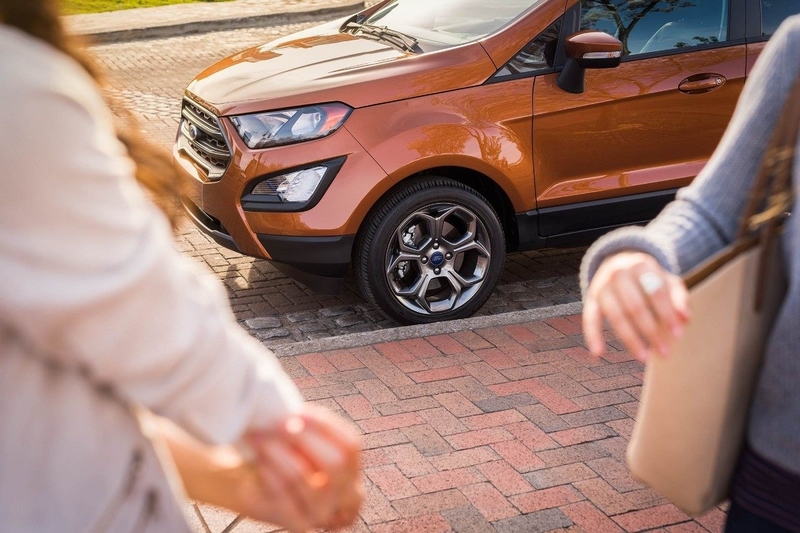 So if you’re a member of Generation Z, or the parent of one, and you’re looking for a new vehicle that offers the connectivity you desire, or you’re recommending or assisting a Gen Z buyer looking for their first new vehicle and want to make sure it has the latest safety features, the Ford EcoSport meets both needs. So whether you’re interested in the 2018 Ford EcoBoost for yourself or someone you love, come visit your local Southern California Ford Dealer today. They can fill you in on engines, FWD and AWD, and even more available safety and connectivity options, making the 2018 Ford EcoSport a subcompact SUV you all can agree on.